Graffiti on Pakistani walls asks no one in particular “why you killed my family”—no one in particular, because there’s really no one to ask. Except the White House, the Pentagon and the CIA. 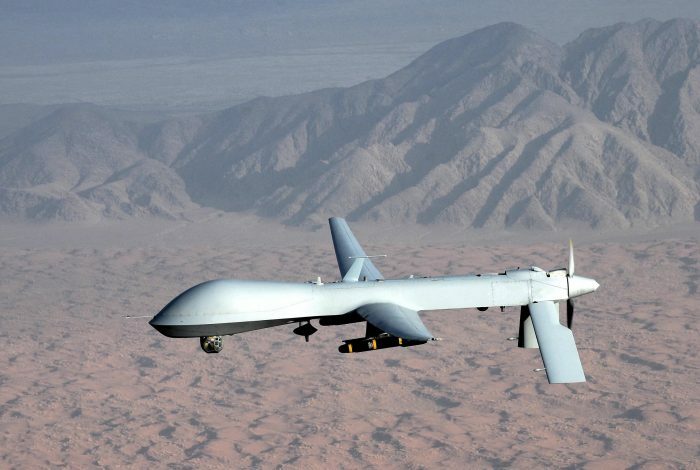 The Council on Foreign Relations reported last November that more people had been killed by drone strikes than on 9/11, and that President Obama had given the order for 90 percent of these operations. Drone attacks have been particularly devastating in Pakistan, where people live in constant fear of death. In addition to the physical destruction drones wreak on communities, the psychological toll is enormous. How did we get here? To understand how drones came to be so prevalent in modern warfare—and to what positive uses these killing machines might instead be put—don’t miss this PBS Nova documentary, Rise of the Drones.